Here is the question: is it better to expect the worst to then find out that it wasn’t quite as bad as expected? Or is it better to just keep going and deal with whatever life throws up as it happens? 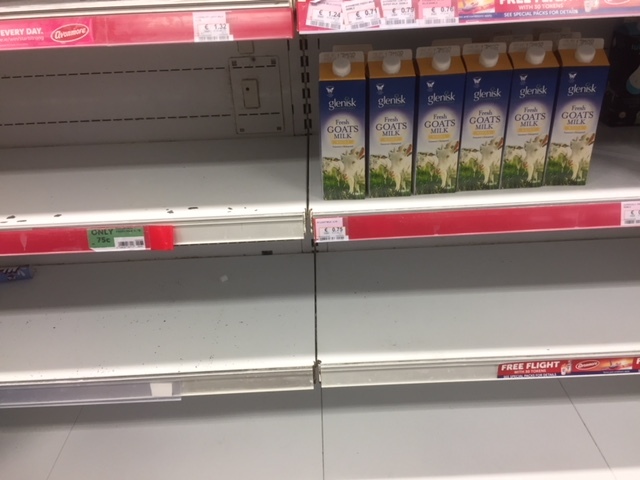 Tonight the supermarket shelves in Dublin are empty. No bread. No milk – except goats’ milk. Tuesday is swimming day for Pádraig. He is really doing well. Incredibly well. He did the ‘usual’ like kicking his legs, pulling and pushing himself from the side of the pool. But we started something new: working with his arms, something he hasn’t done that much in the water so far…..